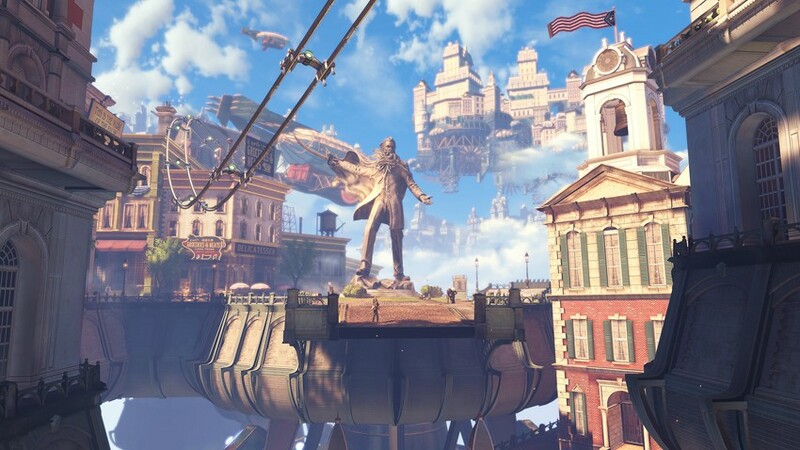 One of the most exciting parts of BioShock Infinite is its setting, the sky-city of Columbia. Three new screenshots from 2K Games show off this city in the clouds. Columbia was built by the American government at the turn of the twentieth century. The sky-city was designed to be a tribute to the country's exceptionalism. It looks like an idealized version of an American town, with brightly colored buildings, tree-lined streets and plenty of parks. 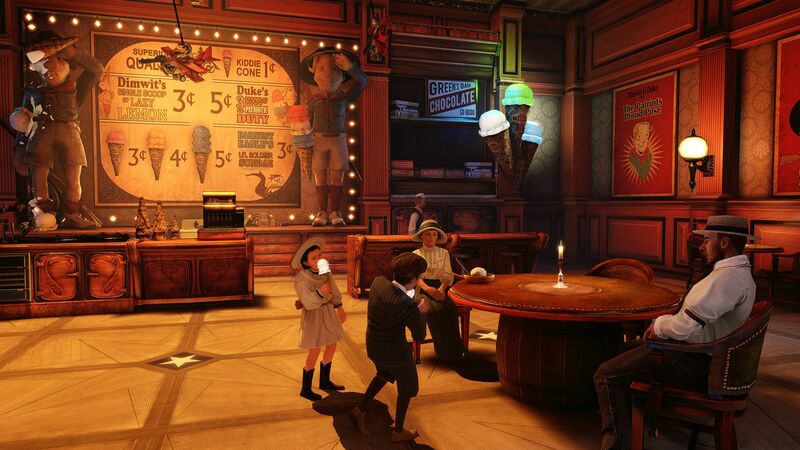 However, like BioShock's Rapture, Columbia didn't stay a utopia for long. A civil war broke out between the ruling class, known as the Founders, and the lower class, called Vox Populi. In spite of this war, though, it's still a gorgeous city to behold. These screenshots are one of many updates 2K has provided for Infinite in the past two days. 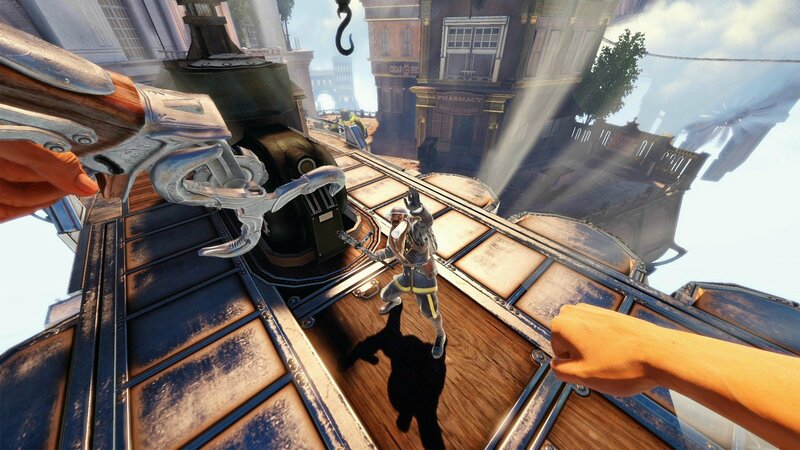 They also announced a free puzzle game for pre-order customers and sent out a gameplay trailer.